This Miscellany contains several documents that were in private ownership and range from 1656 to 1815 and are mainly related to naval operations. There are documents relating to the raid on the Dutch coast in 1666 and letters from Blake to Montague on operational matters in 1756; a discussion on whether to prosecute the likely war in 1738 on land, with alliances, or by sea, without them; the action of HMS Lyon which effectively prevented munitions from reaching Bonnie Prince Charlie in Scotland; letters written by Benjamin Thompson that criticise Keppel at Ushant; two accounts of the action between HMS Brunswick and Le Vengeur in 1794. There are the Board of Admiralty instructions to Captain Cook for his three voyages between 1768 and 1777; letters from Nelson written between 1804 and 1805; the journal of a surgeon at the Bombardment of Copenhagen in 1807 giving a valuable account of shipboard life and naval discipline; an account of the Capture of the Cape of Good Hope in 1806; and finally the history and legality of the Salute of the Narrow Seas and the Vienna Conference of 1815. To read the whole book please Become A Member. William Perrin was born on 10 February 1874, and lost his father at a very early age. His education was thus limited, and he progressed through hard work and industry. 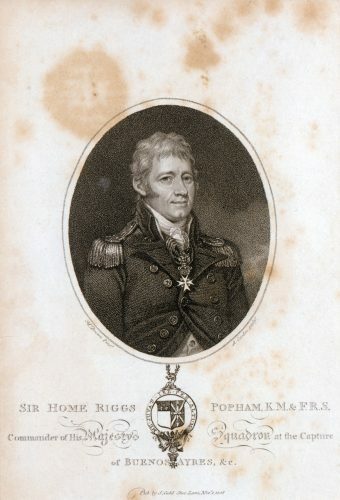 He entered the Civil Service by examination and was posted to the Admiralty on 2 August 1893, serving first in the Record Office, where he acquired an aptitude for original research, and later in the legal branch, where he developed an interest in flag questions, upon which he became a recognised authority, and wrote the standard work. In December 1900 he became private secretary to Sir Evan MacGregor, Secretary to the Admiralty, and then to his successor, Sir Inigo Thomas. His services here were recognised by the First Sea Lord, Jackie Fisher, with a glowing tribute. He was appointed Librarian at the Admiralty on 10 April 1908. The completion of the Admiralty arch over the Mall afforded accommodation for the reorganisation of the Library, and Perrin was the ideal man to undertake this. He gathered from attics and disused rooms throughout the Admiralty many volumes lying idle and uncared for, giving them a proper home, and took in hand the task of compiling an catalogue. Within two years he had succeeded to such an extent that his work was recognised in a special article in The Times on 16 September 1910, which referred to the transfer of some 5,000 volumes to their new, spacious and well-lit apartments. A year later a new reading room attached to the Library was opened by the First Lord, Reginald McKenna. From 1922 until his death on 12 February 1931 Perrin was Honorary editor of The Mariner’s Mirror and honorary secretary of the Navy Records Society, and, by appointment of the Admiralty, secretary to the Trustees of the National Maritime Museum and the Macpherson Collection. His death was brought on by overwork, causing a breakdown in January, swiftly leading to his death. •	Nelson’s Signals: the evolution of the signals flags (H.M.S.O., 1908). •	The Life and Works of Sir Henry Mainwaring Volume II (Navy Records Society, 1921). •	British Flags, their early history, and their development at sea, with an account of the origin of the flag as a national device (C.U.P., 1922). •	The Letters and Papers of Admiral Viscount Keith, volume I (Navy Records Society, 1926). •	Boteler’s Dialogues (Navy Records Society, 1928).